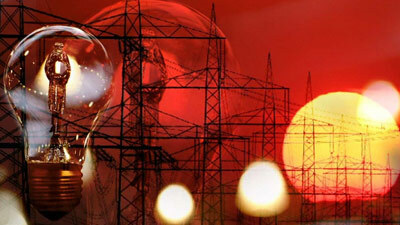 President Cyril Ramaphosa has given the assurance that electricity supply in the country will soon be back to normal. His assurance comes as the country experiences Stage 4 load shedding. The problem is exacerbated by the fact that Eskom lost around 1 000 megawatts from Mozambique after Cyclone Idai hit the country, damaging transmission lines that carry power to South Africa. Ramaphosa has confirmed that he has since deployed members of the SANDF to Mozambique to assist. “We are busy. I have sent our Defence Force to Mozambique to go and help Eskom people to put up the pilons again. So, the next few days it will be difficult, but after that pylons will be sorted (sic), generation should be back and we will fix the power stations. Nobody should ever feel that it’s one person’s mistake. It’s our collective mistake. We will fix it and we must stick to together,” explains Ramaphosa. Earlier, Ramaphosa warned that he would raise commuters’ frustrations with Prasa officials and action would be taken if train services in Pretoria did not improve. He says it is totally unacceptable that train commuters have to be late for work daily. Ramaphosa caught a train from the Mabopane Station to Bosman Station in the Pretoria CBD on Monday morning as part of the ANC election campaign trail. He spent almost three hours on a 50-kilometre trip that was supposed to have been 45 minutes as the train was late and stopped along the way without any explanation. The post Electricity supply will be back to normal: Ramaphosa appeared first on SABC News – Breaking news, special reports, world, business, sport coverage of all South African current events. Africa's news leader..